The testimonials found on this page were letters and note cards from our customers. We are so very grateful for the support we have had in building our company since we started in 1997. Our customers have allowed us to provide a good living not only for us, but also for all of the skilled and caring craftsmen and craftswomen that have worked with us over the years. We have developed long lasting business relationships with our suppliers that provide us with quality products, on time and at fair prices. We just wanted to take a moment to thank you and your team for the exceptional remodeling project of our bathrooms that you completed recently. We had a vision of what we wanted to accomplish in our master bathroom, which was a fairly major revision of the bath and shower areas as well as tile work and replacement of vanity tops, and your team transformed this vision into reality. This transformation was made possible by your excellent and experienced team at each step of the process. During the planning process, you, helped us refine our vision into a practical plan and select materials from a wide range of options. All of your craftsmen were extremely professional, courteous and meticulous in getting their jobs done right. All of this attention to detail at each stage resulted in a great finished product. We definitely feel that we received great value for our money. Plus it was a pleasant experience working with your entire team. We now get to enjoy our beautiful master bathroom, powder room and upstairs bathroom every day. We would have no hesitation in recommending Hamre’s to our friends or other that are contemplating a remodeling project. Thanks again for a job well done. – Dan & Loretta D.
You were truly wonderful to work with! We have heard many stories of the horrors of remodeling, and you allayed those fears, as we found out very quickly. You certainly kept your word on getting the work done in a timely manner & keeping us informed every step of the way. We have passed on your name to several people & will certainly recommend you to anyone who asks. Thank you again for helping us make this dream bathroom a reality! – Bill and Jeanette S.
We were so relieved to work with professionals like Hamre’s to update our home prior to retirement. Hamre’s supplied excellent project management for all the various contractors to remodel each of our six rooms, saving us a lot of headaches. Also Hamre’s provided very helpful creative ideas for decorating and selections of new cabinets, fixtures, counters and floors. We could not be more pleased with our ‘new’ home! – Jim & Karen U. It was a pleasure to have you participate in our project and we look forward to working with you with some future projects. We were very pleased with all that was done. – Wil & Julie B.
Jamie and Pat Hamre are by far one of the most professional and knowledgeable contractors we have ever worked with. From the demolition to the bare studs of our old bathroom to the completion of our remodel, they were there for us every step of the way. Every detail was discussed beforehand and they gave us consistent updates on the job’s progress as it went along. Their years of experience gave a high degree of comfort during this major project. 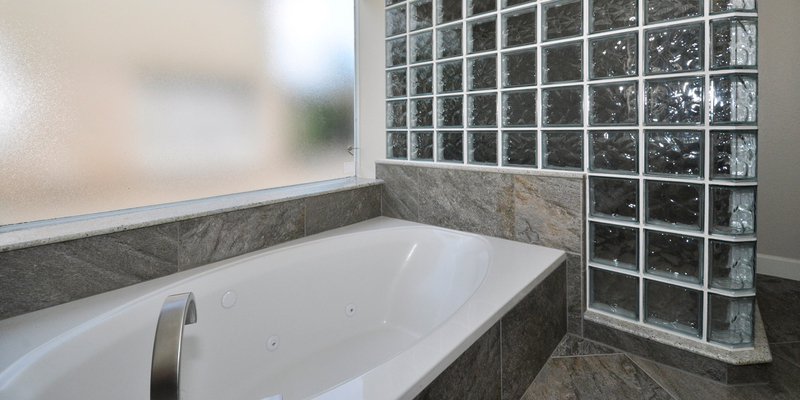 – Barbara & Terrell C.
We are very pleased to be your customer and have only good things to say about all your staff and craftsmen of the different trades needed to complete such a great bath. – Jack and Ann C.
Thank you for helping to make our beautiful kitchen a reality. We’ve waited a long time for this. Hope to move in by the end of the week! – Sue & Dave G.
We had a wonderful experience with Hamre’s remodeling of our kitchen. Jamie, Pat and their crew were very helpful with their recommendations and were always available to answer any questions we had. We are extremely pleased with our beautiful kitchen and will use the Hamre’s for future projects. – Patrice & Jerry C.
Thank you so much for the on time, quality work. Everyone was very professional and cleaned up after themselves. It was much appreciated. We love our new bathroom. – John and Carole S.
My name is Tom F. and I live in Missouri City. I recently had a Master Bath and Kitchen remodel done by Hamre’s was very pleased with both projects. The planning and design phase was painless and I received great input from both Jamie and Pat. There was great communication throughout the remodel process and I always had an updated work schedule so I knew what days and times I needed to be home. I am more than pleased with the results and am looking forward to my next project with Jamie and Pat as I have them replace all my carpeting.